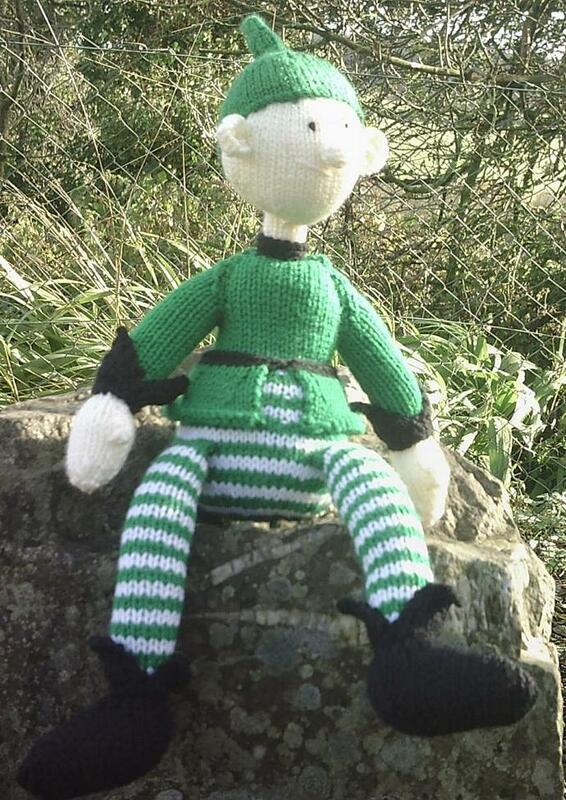 Fun handknitted toy elf. Ideal toy for babies and children. This item is made by myself in a smoke free environment, using 100% washable acrylic yarn. This item can be made to order in a variety of colour combinations. Please contact me for further details.